Call SUN-FLOWERS today... the place where flowers are uniquely designed and affordably priced. Searching for the perfect gift? A delivered bouquet from SUN-FLOWERS -- could be your simplest and most worthwhile solution! We’ll make it easy. Just come by, call us at 218-784-2280 or send us an e-mail. We have a huge variety of flowers and arrangements for any occasion. As a family-owned and operated business, we take delicate care of our flowers and customers. So come and allow your heart to speak through our flowers. Tammy attended and graduated from retail floral school at Brainerd Vo-Tech in 1980 and has been in the floral business ever since. Both Tammy and her husband Bruce have been lifelong residents of Ada so they are very familiar with the Norman County area and its residents. We look forward to being able to help you with your floral needs. We’re a local Ada, Minnesota florist serving the local area since 1982 with creative gift ideas to suit any style or budget. Enjoy your online shopping experience with secure 24-hour ordering right at your fingertips. If preferred, you may call us to place orders direct at 218-784-2280. It is our pleasure to assist you with any local, as well as worldwide deliveries and remember that corporate accounts are always welcome. 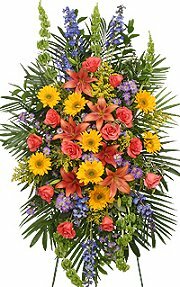 With delivery to Ada, Borup, Halstad, Hendrum, Twin Valley and Gary MN, we also offer daily delivery to local funeral homes and hospitals. We receive fresh flowers twice a week so they are always fresh and beautiful. Our shop offers a large variety of flowers and services to best fit your floral needs and price range. We can usually fill your requests the same day you order. Please order a few days ahead of time if there is something special or during holidays. We offer individual flowers and bouquets in these price ranges: Under $15, $15-30, $30-50, $50-75 and Over $75. ALL OCCASION GIFT IDEAS ~ Shop from our Green Plants, Blooming Plants and Dish Gardens for a gift that adds life to any room or office. We also offer a variety of other choices… Gifts, Greeting Cards, Scented Candles, Silk Flower Arrangements, Plush Stuffed Animals, Balloons and more! WEDDING & PARTY FLOWERS ~ Call us to schedule a consultation, so we can help you start planning flowers for your dream wedding or a special event – large or small. We can provide flowers and arrangements for large-scale events with at least a two-week notice. Our talented designers create bouquets, flower arrangements and on-site decorating with each client’s individual style and budget in mind. Don't forget about unique corsages and boutonnieres for your next special occasion! 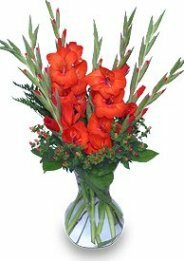 Thank you for visiting our website with flowers delivered fresh from your local ADA, MN flower shop and convenient online ordering 24 hours a day!